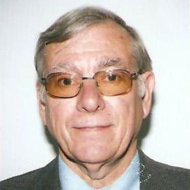 Prior to retiring in 2010, Eric worked as Scientific Officer for Gravesham Borough Council for eight years. He began his career in 1967 when he joined the London Borough of Hillingdon, working in the Public Protection Department’s laboratory. Eric’s role was to provide a sampling and analysis service to cover food, water, atmospheric pollution, contaminated land, consumer protection, entertainments licensing and housing. Analytical techniques for chemical and microbiological analysis used at the time included light microscopy, and gas chromatography to name but a few. Eric was simultaneously completing his Higher National Certificate in Applied Biology. He subsequently began a part-time MSc in Environmental Pollution Sciences at Brunel University. In 1990 Eric joined the London Borough of Sutton where he completed his Masters. At Sutton, although involved in dealing with water and air quality issues, his primary concern was with land contamination. His interest in this challenging field led him to apply for the post of Scientific Officer at Gravesham Borough Council, which mainly dealt with land contamination issues. As Scientific Officer Eric carried out all necessary investigative, consultative and enforcement work for the Council’s Contaminated Land Strategy. He also represented the Council at the Kent and Medway Contaminated Land Forum and the Technical Officers Sub Group. A large part of the job involved assessing remediation proposals and ground investigation surveys to ensure site developers were complying with the requirements of local planning conditions. Working in the areas of land contamination and air quality, and being an environmental scientist, Eric felt the work of the IES in promoting public awareness and contributing to environmental protection made it the professional body to join. Remaining a member post-retirement enables Eric to keep in touch with topical issues regarding the environment and the Institution’s contributions to these issues and to sustainable development. Eric is embracing his new found free time which allows him to enjoy the environment he has spent a long time trying to protect.